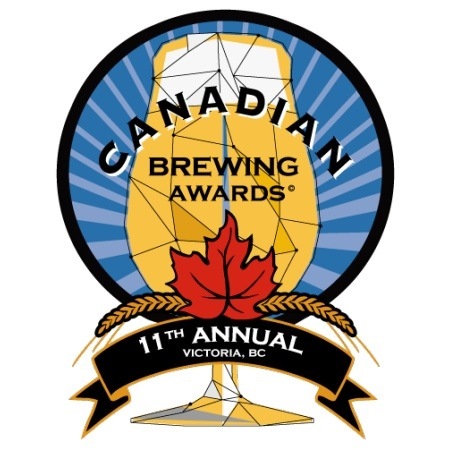 This weekend I had the privilege of attending the 11th annual Canadian Brewing Awards. Brewers came from BC, Alberta, Saskatchewan, Manitoba, Ontario, Quebec, New Brunswick, Nova Scotia, Newfoundland, Prince Edward Island and the Yukon to share their love of beer and hopefully bring home some hardware. With the explosive expansion happening in the craft beer market, there was plenty of competition for the older brewers who seem excited to up their game and show the new guys who’s boss, but the young guys have come out swinging. For those of us who merely like to drink beer then sit back and discuss, we will be the real winners. From BC, we saw Parallel 49 and Howe Sound take home an armload of trophies. Additional prominent BC winners were Powell Street, Swans, Driftwood, Tree, Lighthouse, Vancouver Island, Russell, Mt Begbie, Cannery, Yaletown, Granville Island and others. One of the most exciting wins, perhaps even an upset, came from the newest brewing company in BC. At barely six months old, Powell Street Brewing Company took home Canadian Beer of the Year award for their Old Jalopy Pale Ale. Another relatively newcomer, Parallel 49 should have sat next to the awards table. 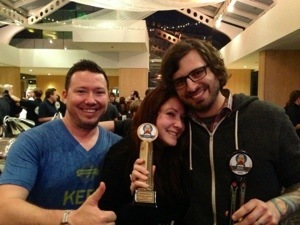 Winning a gold for their Vow of Silence, and silver medals Lord of the Hops, From East Van With Love, and Old Boy. Proving that the medals aren’t just for the young guys, Howe Sound had an impressive night taking home gold medals for King Heffy Imperial Hefeweizen and Diamond Head Oatmeal Stout, a silver for Devil’s Elbow IPA and a bronze for Howe Sound Lager. Outside of BC there were plenty of awards to be brought home, especially to Ontario and Quebec. Notably, Great Lakes Brewery from Toronto claimed Canadian Brewery of the Year after filling their suitcases with three gold medals, a silver and a bronze. A total of twenty medals will be travelling home to La Belle Province, including a sweep by Brasseurs Sans Gluten in the Guten-free category. It was a great weekend for beer, that saw Canada’s best brewing companies leave business and rivalry behind in order to share the great beer they make from far and wide. From Bonavista to Vancouver Island, this beer was made for you and me.